Liverpool City Region’s current property opportunities total a cool £20 billion, but these developments are worth so much more than their monetary value. They’re centres for innovation, hubs of talent and creativity, bustling business districts and towering residential homes. They’re turning places into destinations and spaces into brand new communities. Best thing? All these developments are linked to an international business ecosystem that is forging great strides in several of the world’s fastest-growing and most exciting industries. 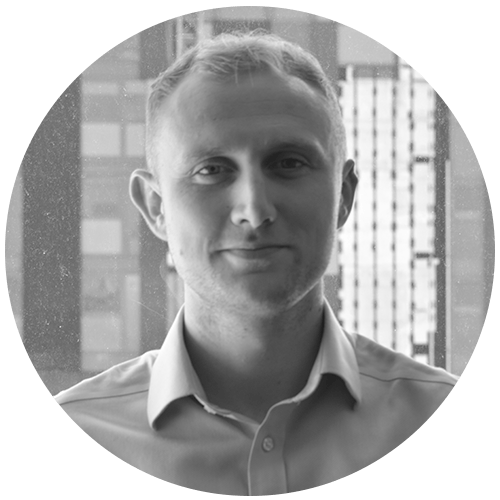 In short, the Liverpool City Region opportunity is worth talking about and it requires a true international platform to act as an appropriate launchpad. 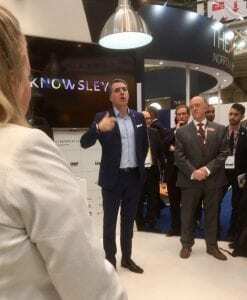 For us, and most of the global property market, this platform is MIPIM and from the 17-18 October this year, it was MIPIM UK. Read on for a fresh introduction to the event, a round-up of this year’s MIPIM UK highlights and a look ahead towards MIPIM Cannes – The main event for making new global property deals happen. Anyone who networks knows the value of a clearly segmented audience. 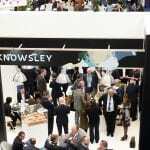 MIPIM UK, now in its 5th year, is the sister event to MIPIM Cannes and focusses on property opportunities within the British market. 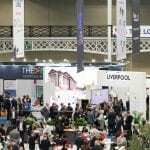 Although the event is much smaller than its French Riviera counterpart, it still offers a useful opportunity for Liverpool’s property sector to join national investment discussions, witness major announcements and showcase their company in our nation’s capital. 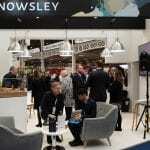 Held at The Olympia in London, the two-day, annual event debates the biggest issues in British real-estate today and highlights the most important investment opportunities, right across the British Isles. The global property market, perhaps even more-so than most, is tied to the fortunes of the world around it and must pay close attention to shifts in the socio-cultural, political, environmental and economical landscapes. 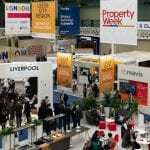 MIPIM UK works to facilitate this analysis, examining trends, highlighting opportunities and forecasting where the UK property industry is heading next, through more than 60 conference sessions. 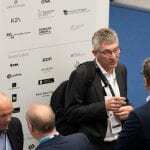 It will surprise no one to discover that this year’s MIPIM UK was particularly controversial, with the spectre of Brexit looming large and the industry anticipating significant upheaval and change. 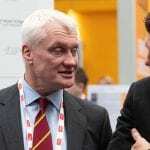 This year the British Minister for Investment at the Department for International Trade, Graham Stuart MP got proceedings underway with his passionate keynote speech on ‘breaking down barriers’ to investment and development. Mr Stuart went on to announce a £2bn UK property investment portfolio, including the construction of more than 2,000 new homes and 1,000 new jobs in ‘Festival Park’ a new urban community in Liverpool City Region’s Paddington Village development. The event also provided the latest insight on our region’s progress regarding Wirral Waters, Knowledge Quarter Liverpool and Knowsley Borough developments, each helping to communicate the great swell of diverse development and investment opportunities that our city region presents. Other hot topics included devolution of power, an examination of UK interest rates, the affordability of UK housing and the pioneering of the next-gen space vehicles; effortlessly mixing pressing current realities with exciting future potential. 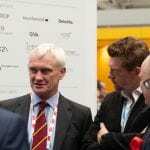 MIPIM UK attracts strong industry support from The British Property Foundation, numerous private sector businesses and the highest levels of both local authority and national government. 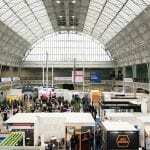 Such contributions demonstrate the unifying nature of the land and property sector. 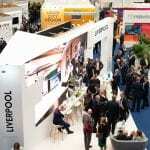 Successful places, after all, mean people, homes, jobs, industry and ultimately prosperity, something that is always abundantly clear at any MIPIM event. 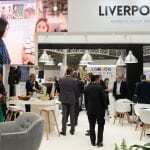 This year, Liverpool City Region, supported by private sector sponsorship, constructed its own exhibition space, an opportunity previously shared with Greater Manchester. 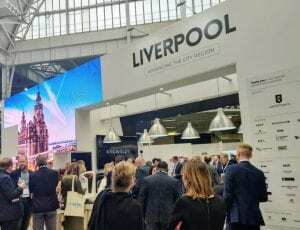 It’s fair to say that Liverpool’s presence has become a centrepiece of activity, creating an open, engaging and stylish platform to attract businesses and investors. 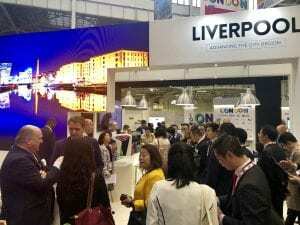 With great coffee, company and a focussed programme of events, the Liverpool City Region exhibition space became a lively hub for MIPIM UK this year. 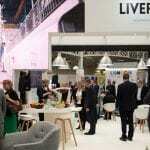 Smartly designed by Marketing Liverpool, our stand always seems to genuinely say something about the personality of the city region itself; warmly welcoming businesses, using the city region’s assets to generate interest and encouraging conversation and debate. 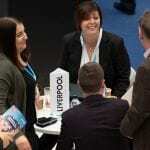 This year the Liverpool City Region stand welcomed more than 2,000 delegates, making real face-to-face connections, that could prove lucrative further down the line. 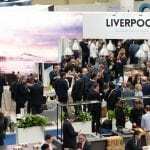 A move that puts Liverpool City Region’s property market in front of serious investors and partners like no other event could. 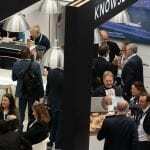 In its five years, MIPIM UK has been working hard to develop its presence as a major UK property event, however, MIPIM Cannes is still the real global frontrunner. 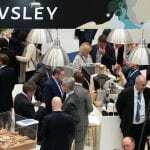 Bigger, more international and two-days longer than MIPIM UK, MIPIM Cannes is the uncontested international property event champion, welcoming 24,000 delegates from more than 30 countries. 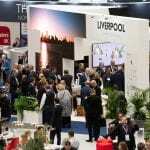 Liverpool City Region intends to similarly up its game for MIPIM Cannes 2019 – The 30th edition of the event – taking place from the 12 – 15 March. 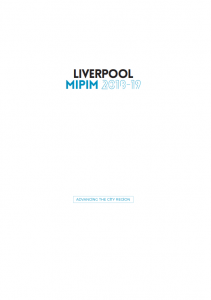 Liverpool at MIPIM is led by a private sector steering group comprised of Deloitte, Peel, GVA, Arup, K2 and Morgan Sindall. 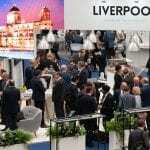 Private sector organisations can now join Liverpool at MIPIM for a 12-month period, supporting both MIPIM UK and MIPIM Cannes events, or they can select to sponsor one event or the other. It gives me great pride to reveal that we are tantalizingly close to selling out sponsorship for Liverpool City Region’s presence at the event, attracting almost 40 partners. A testament to the commitment of Liverpool City Region’s talented and passionate property developer community. We are thrilled to have such a strong delegation of private sector partners working with us. We are also delighted to be led by Metro Mayor Steve Rotheram and have support from the leaders and chief executives across the combined authority. 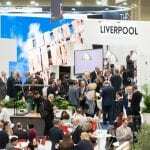 Liverpool works best when the city region works together, a sentiment exemplified by the successful Liverpool MIPIM approach. In business, it pays to be an extrovert. 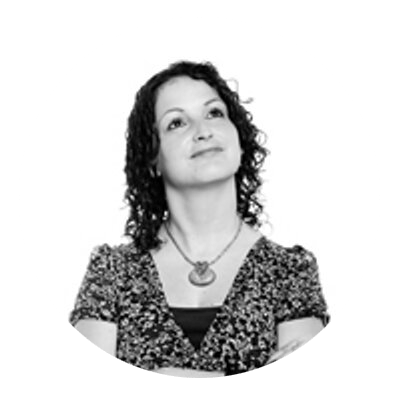 It pays to be ambitious and it pays to get out there and meet the right people, face-to-face. 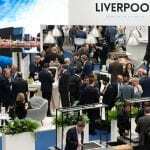 Fortune favours the bold and both MIPIM events present the perfect stage to shine a global spotlight on Liverpool City Region’s £20bn opportunity – an opportunity that’s worth so much more in human terms. 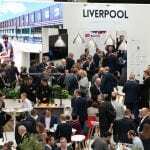 Witnessing vital business connections happen across the Liverpool delegation at MIPIM UK or Cannes is what this project is all about. These events strengthen both our steering group, and Liverpool’s property sector, ultimately generating jobs, employment and growth for the city region. 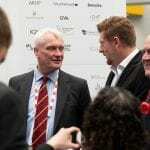 MIPIM is an event that makes things happen. 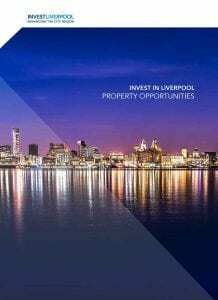 Read about some of Liverpool City Region’s property opportunities. Property can be just the start, the spark that ignites, leading to lands reimagined and new communities established. Take a look at our extensive list of partners here and imagine what can be achieved for Liverpool City Region, when all these talented and committed North West companies work together. At its very core, MIPIM is about partnering for growth, turning spaces into hives of business activity and disused land into thriving communities. 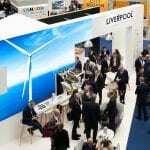 Liverpool City Region’s strong presence at both MIPIM UK and MIPIM Cannes is a smart move that makes perfect sense.